There are Dogs of Different Shapes , Sizes, Breeds and Nature. Some Dogs are Friendly and some take time to know a person and be comfortable around him. Some Dogs are Lazy and Some are Very Active . As i was going Through Many Pet Forums and Facebook Groups, i saw many Dog Owners Complaining that they were kind of Pissed of as their Dog always wanted to Play . He is always Looking at them to Seek Attention to Play . This is Called a Hyper Active Dog. They are very Fragile and always Running from one Corner to Another in our Houses. 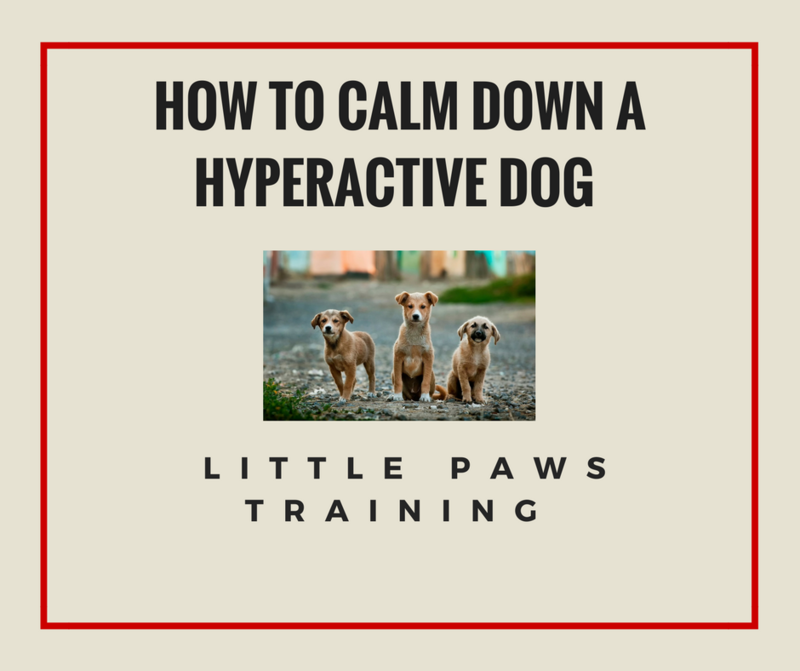 Don’t Worry , In this Article i will share some Latest Key Points by which you will Learn How to Calm Down a Hyperactive Dog . The Reason that your Dog Might be Overly Active lies in his Daily Routine. There is a Large Chance your Dog is Bored and he is Lacking Stimulation. It Depends on the Kind of Activity your Dog gets to Do Everyday. Human Beings Suffer from Depression due to Lack of Stimulation as well. Your Dog Needs to Increase Daily Energy Levels and Mental Stimulation. And guess what who will do That? Obviously You :P. You Need to Take him for a some kind of Exercise Daily. It can be a Long Walk of around 30-45 Mins or it can playing Frisbee along with him and Teach him how to get it or Catch it and get that Frisbee back to you. It will take time at First but your dog will Learn if you spend some time with him. You can throw a Tennis Ball and Teach him to get it Back to you and This game is Easy as it can be Played Inside your House as well. Just Make Sure you can Channelize his energy to Learning Something or Playing. Why am i saying Morning Routine is because you can’t make your Dog Exercise and Play with you all day long. You have to go to Work as well , Isn’t it? 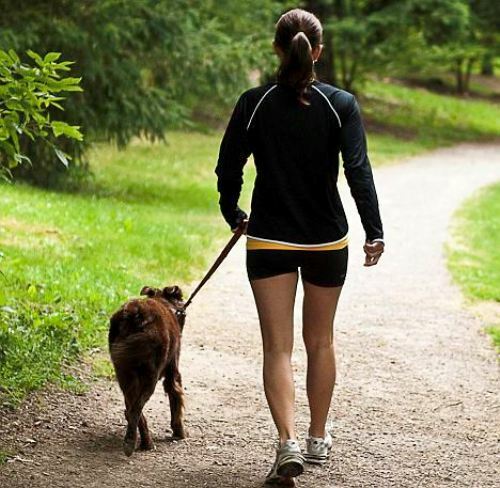 Just take your Dog for a Morning Walk of 30 mins and after the Walk, Spend Some time in Obedience Training or Playing out with him. After this just Feed your Dog well and he will Spend all his Afternoon Sleeping. This can Really Help you Calm Down your Overly Active Dog. If you don’t Have time to spend morning with your Dog , Try to spread some Aroma in your House which will Relax your Kid. Just like Humans feel relaxed with the Smell of Lavender, Dogs also Like Lavender. Or you can also Consult your Doggy’s Doctor to ask him about other Aroma’s. This Point can be the Best if you can do it. Try to make your Dog follow you. It Might seem hard and take some time but if your Dog can Obey your Instructions, Life would be so Easy with a Pet. You can Learn More About Obedience Training here . Learning New Skills will channelize your Dog’s Energy to Constructive and Positive Deeds and Obedience Training is the Best Skill your Dog Can Learn. Like i Said Frisbee is a good sport to play with your loved Dog, Don’t just Limit yourself and play just that. Playing Same Game everyday will be Boring and He will also not Enjoy after a Certain Time Period . Try to Make him Learn other Games and also use Smart Toys which will keep his Mind Busy and Hence Energy As well . Try To Make your Dog Do both Physical Stimulation and Mental Stimulation. Lack of even one would also make him Hyperactive. Along with Physical games, Divert his Mind into Other Things such as Smart Toys or Puzzles.